In Issue #112 of Singletrack Magazine, we put 14 different knee pads through the grinder as part of our ‘Pads For Pedalling’ group test. Given the success and media spotlight around the Swiss company’s bikes, it can be easy to forget just how extensive the range of apparel and accessories produced by Scott Sports is. 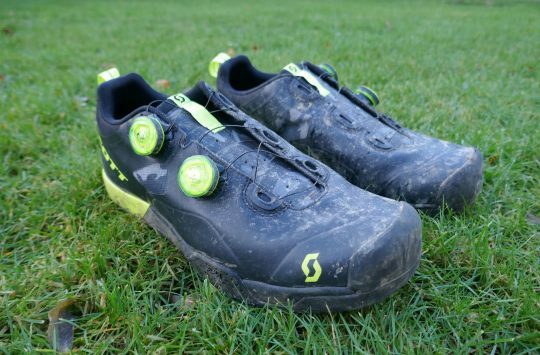 A cursory glance at the Scott Sports website will show you just how deep that product range is though, with everything from helmets, to shoes, to apparel, to sunglasses, backpacks and body armour covered. And thanks to the size of the Scott brand and it’s extensive global dealership network, the company’s broad-base buying power means it’s able offer good value for money on those products too. 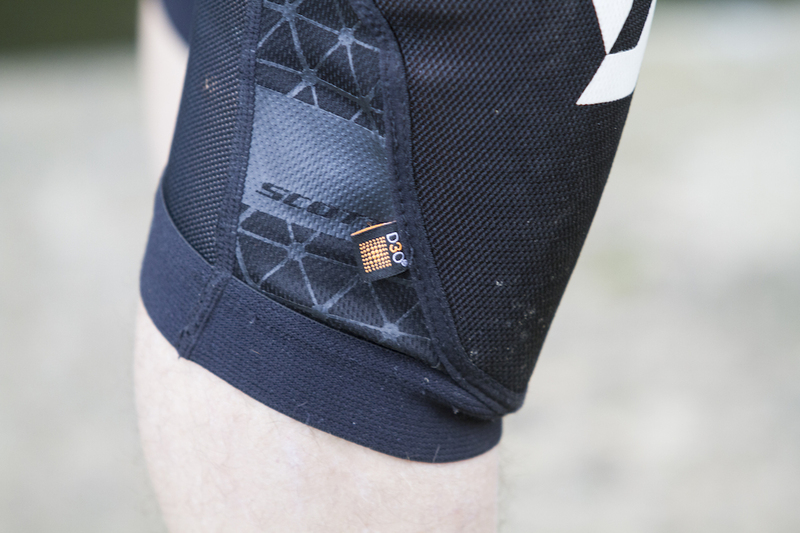 As of right now, Scott offers four different knee pad options as part of its mountain bike protective wear range. The Soldier 2 knee pads are the lightest option from Scott, and thanks to a lightweight mesh construction and a flexible D3O protective pad, they’re suited to the riders who value comfort and flexibility over the flat-out protection of stiffer hardshell options. The Soldier 2 knee pads are available in four different sizes, and Scott also offers the same style in an elbow pad design too. 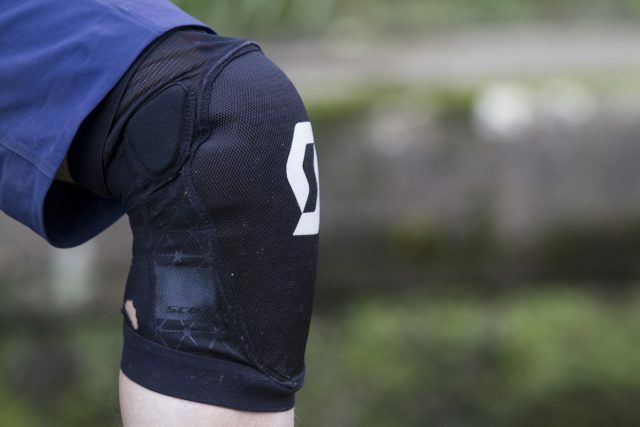 The Soldier 2 knee pads are the most lightweight option from Scott Sports. 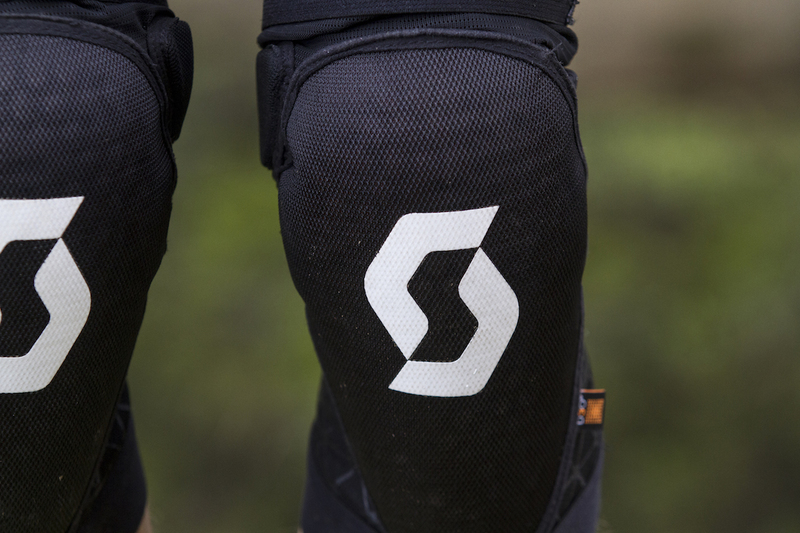 “The SCOTT Soldier II Knee Guards are our lightest knee pads yet – perfect for those searching for amazing comfort without sacrificing protection. 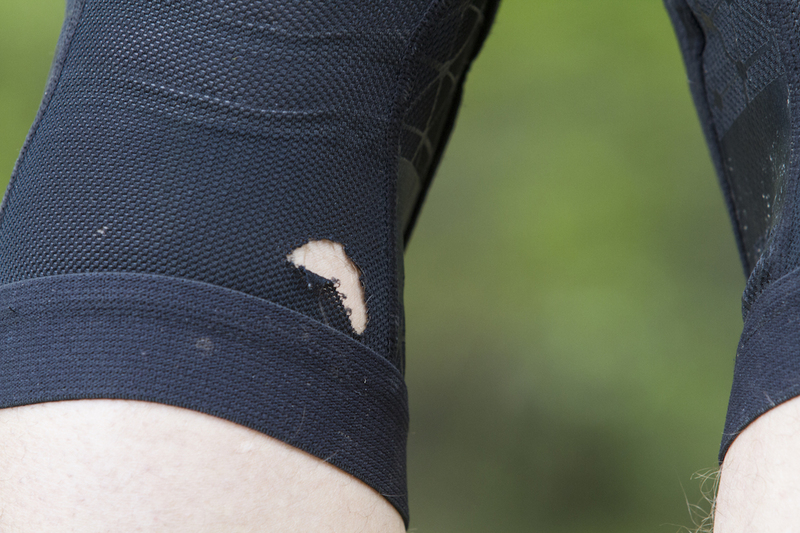 Our engineers have re-designed the standard malleable, shock-absorbing D3O® material used by numerous competitors and paired this with abrasion resistant fabric to ensure an unmatched level of protection. The strapless construction with a silicone printed retention system combined with a highly breathable mesh material provide ultimate comfort” – From Scott Sports. 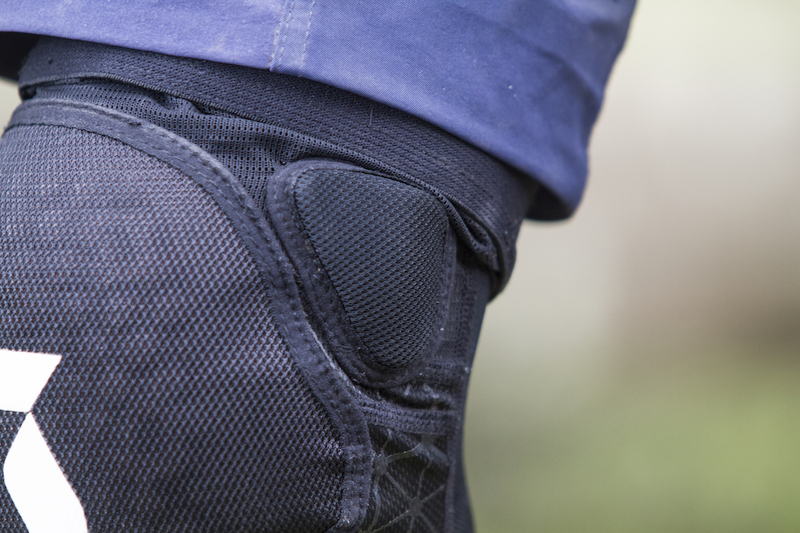 The Soldier 2 knee pads use a lightweight sleeve-style construction. No straps here. Just stretchy mesh and elastic cuffs. 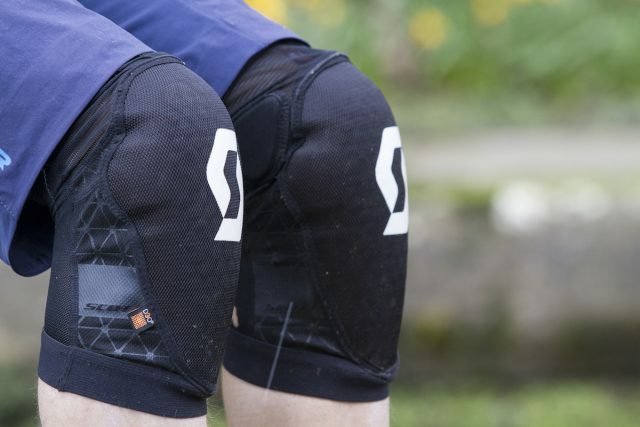 Being the sort of pads that you’d slip on before a 3-hour ride up in the hills, the Soldier 2 knee pads place a distinct emphasis on flexibility and breathability. Unlike heavier duty pads that you’d potentially stow in your riding pack before busting them out for the gnar, the Soldier 2 knee pads are designed to be worn from start to finish, and Scott wants them to be so comfortable that you never leave the house for a pedal without them. To that end, the Soldier 2’s have a rather inoffensive fit, with plenty of freedom and stretch on offer. The back of the pads is made from a stretchy mesh fabric that is both thin and perforated for moisture-wicking performance, which helps to keep sweat from building up on the back of your knees. The soft-shell Soldier 2 knee pads use a tubular design that’s easy to slip on and off each leg. There are no velcro straps to be found, though both the top and bottom cuffs of each pad are capped with a wide elastic band. The upper cuff is also lined internally with a silicone strip to keep the top of the pad from slipping against your skin. An EVA foam pad provides extra protection for the inside of each knee. Although the Soldier 2 knee pads are the lightest option from Scott, they’re certainly not lacking on the protective front. Calling on the reactive properties of the high-tech D3O material, Scott has built a pre-curved protective plate that cups around the knee cap. The D3O pad extends around the top and side of each knee, while also covering a good way down the shin. Unlike some of the super minimalist pads like the G-Form Pro-X, the D3O plate in the Soldier 2’s has a far more substantial thickness to it, albeit with a malleable feel that articulates well with the knee as it bends and flexes throughout each pedal stroke. The real magic of the D3O material is when it encounters an impact. Hit the pad with force and the material’s molecules lock together, making the material go hard. As the pad stiffens under impact, it’s able to absorb more impact energy, and distribute it over a broader surface area. Clever stuff indeed. The D3O pad is heavily articulated around each knee, providing solid coverage and impressive stability. During the first half of the test period, I was pretty close to giving the Soldier 2 knee pads the ‘Best Overall’ award in our Pads For Pedalling group test. Their fit is really comfortable, and they offer noticeably better breathability than many of the other pads on test. And not only is the D3O pad super flexible, the stretchy mesh construction of the Soldier 2 knee pads means the pad is happy to twist and contort with your body, to the point where you just don’t think about them on the trail. Exactly what you want if you’re not that big of a fan of wearing knee pads. The lightweight mesh isn’t the toughest. As the test carried on however, some shortcomings of the Soldier 2 knee pads started to become apparent. The mesh backing is quite thin, and as a result, it’s adopted several small holes following minor encounters with pedal pins and chainrings. They aren’t the only lightweight pads to have sustained damage during the test period, but it was more the slackening of the elastic bands and the mesh fabric that was the problem. Over time, this has has caused them to become quite baggy, particularly around the top cuff, with the fabric bunching up around the thighs and sliding down during the course of a short ride. It would be nice to see a more robust fabric used for the main body of the Soldier 2 knee pads to avoid this from happening. Even with the baggy fit though, the Soldier 2 knee pads do impressively well to stay in place. This largely comes down to the D3O protective pad, which is so well articulated that it doesn’t want to do anything but hug the kneecap. Whereas other lightweight pads like the Bluegrass Eagle Crossbills would slide around after making contact with the ground, the Soldier 2 knee pads keep the protection where it needs to be, and that’s really what counts when you’re choosing to wear knee pads. 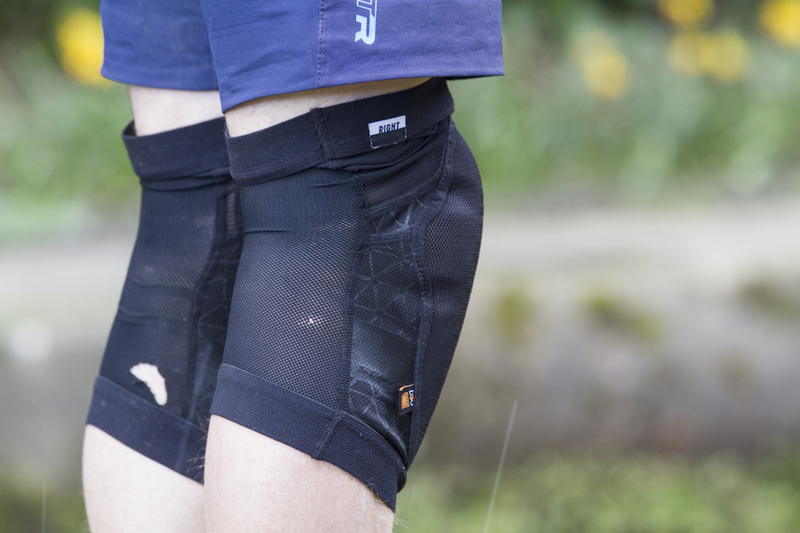 One other nice feature of the Soldier 2 knee pads is the addition of a small EVA foam pad on the inside of each knee, which offers suitable protection for inwards frame-whallops. The Soldier 2 knee pads are very comfortable, and highly flexible. 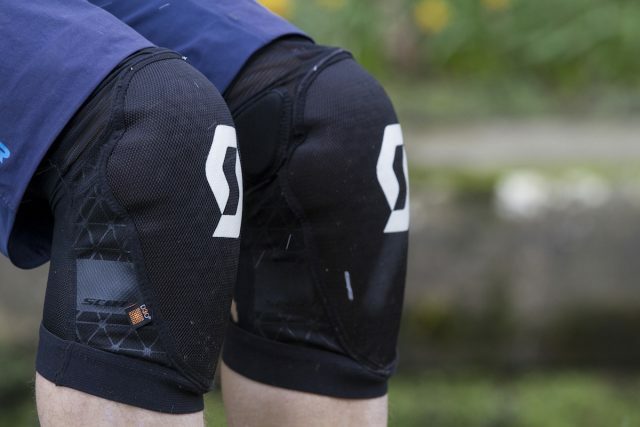 I really like the fit and feel of the Soldier 2 knee pads, and Scott has done well to bring the high-tech D3O protection to a product that costs less than sixty quid. 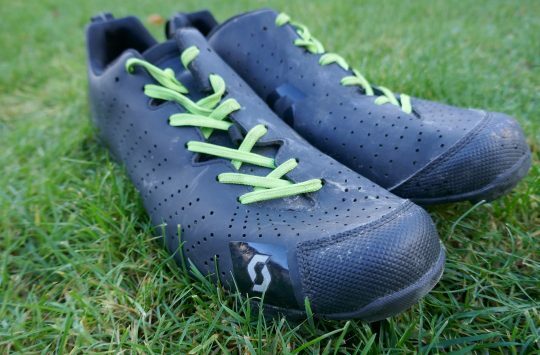 The pad is articulated well, and the flexibility makes them a pleasure to pedal in. However, I’d like to see some improvements to the stretch fabric to give them a more snug and secure fit around the top of the knee pad, before they could get the full recommended label. 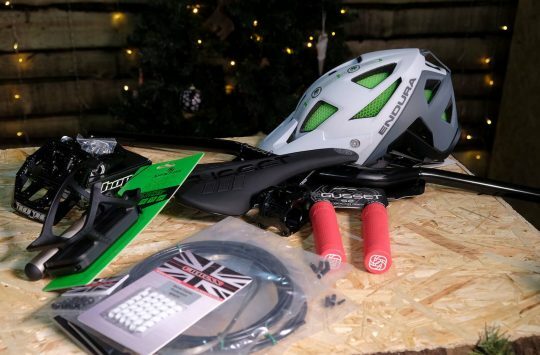 The Great Singletrack Christmas Giveaway – What’s Coming This Week?